Who can have access to the RBA Ambiental System? UCO is collected from all kinds of clients such as small, medium and large gastronomic or industrial companies. What does RBA Ambiental offer? Lower Costs: Disposing of the UCO residue is an expensive burden for your company, not to mention the responsibility and risks of handling this residue. Containers: Provided with no cost to you and selected to cover the volumes of UCO generated by your business. Collection Frequency: In accordance to an agreement with the client and determined by the specific needs of each and every client. Emergency Service: We also provide an emergency service in case you need an out-of-schedule collection or outside the volumes of the normal collection. Just call our client service toll-free number at: 0810-2-ACEITE (223483). Staff: Skilled personnel, especially trained, carrying proper identification badges, with the all safety equipment in order to carry out their tasks. Fleet and Coverage: Over 25 transportation units to perform the daily collection and transportation of UCO to our regional gathering centers covering all the Argentine territory and providing service to over 7.000 clients. Corporations and Franchises: RBA Ambiental provides a specialized service to franchises and corporations, ensuring compliance with their requirements of food quality, cleanliness and correct disposal of UCO at each site of their chain. Responsible Disposal: RBA Ambiental assumes full responsibility for the total disposal of the residue that your company generates, in compliance with applicable regulations. 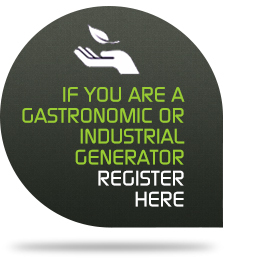 Become a responsible UCO generator: RBA Ambiental offers you to share the benefits; when you work with RBA Ambiental you share our responsibility and ethical commitment towards health and the environment. By doing this, you will be recognized as a “responsible company”. Extranet: Will give you a full picture of the responsible ACU disposal actions at each of your sites, allowing you to standardize procedures. Through the use of our extranet system, your company will have access to updated information, including your reports, manifests, certificates and historical collection records. Regulation: Your company receives a Collection Manifest after each collection which generates a UCO Disposal Certificate guaranteeing that the UCO will NOT be reused for human consumption.